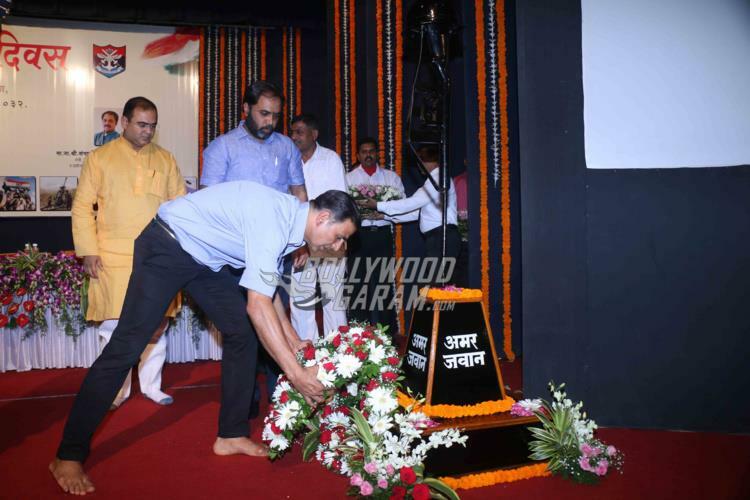 Akshay Kumar, who has earlier played the characters of army and navy officers on screen, graced the Kargil Vijay Diwas celebrated in Mumbai on July 26, 2017. 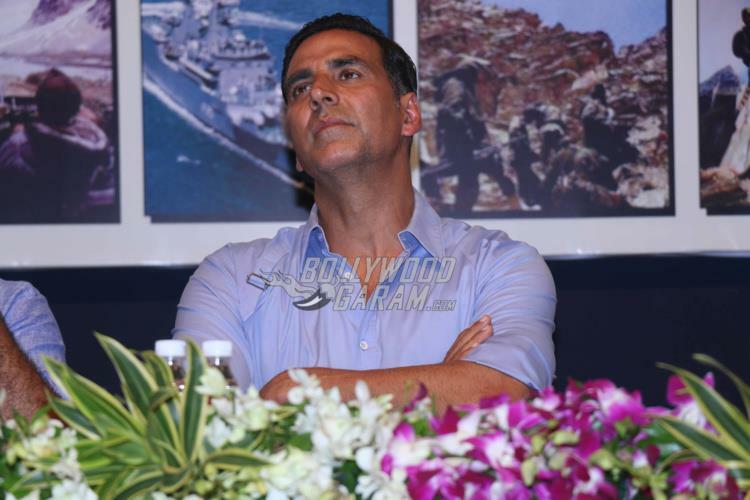 The day was observed after the success of the operation named Vijay in 1999 when India successfully took over the high outposts which were lost to the Pakistani intruders. 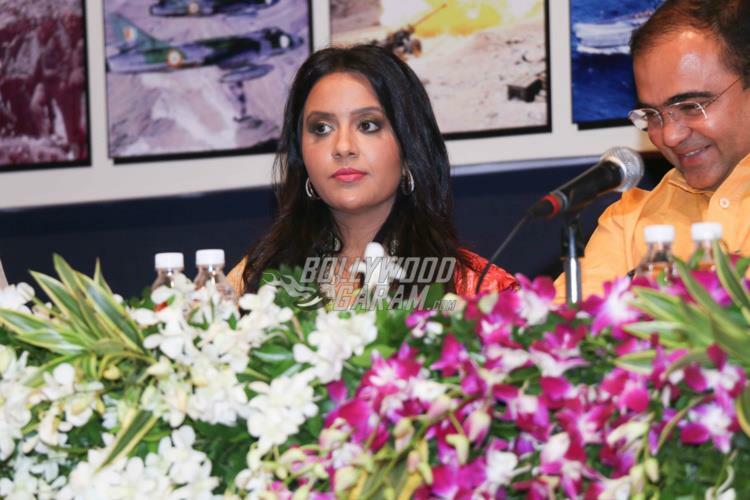 The infamous Kargil War was fought for more than 60 days and concluded on July 26, 2017. 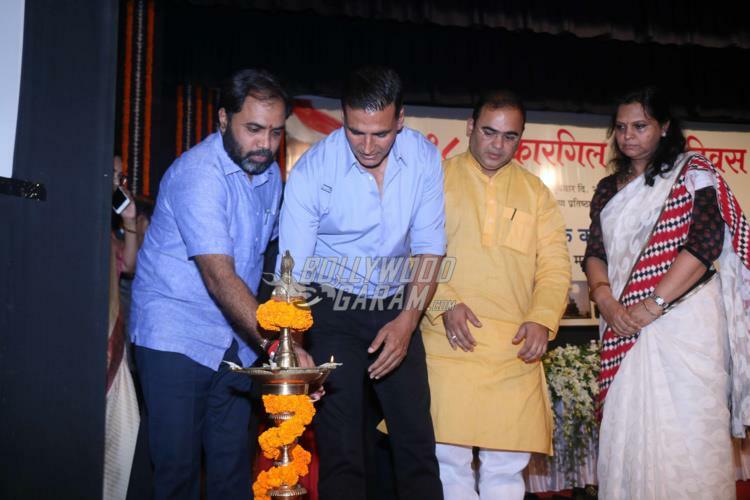 Akshay Kumar was accompanied by the Chief Minister Devendra Fadnavis’s wife Amruta Fadnavis, who honored the soldiers who lost their lives during the war. 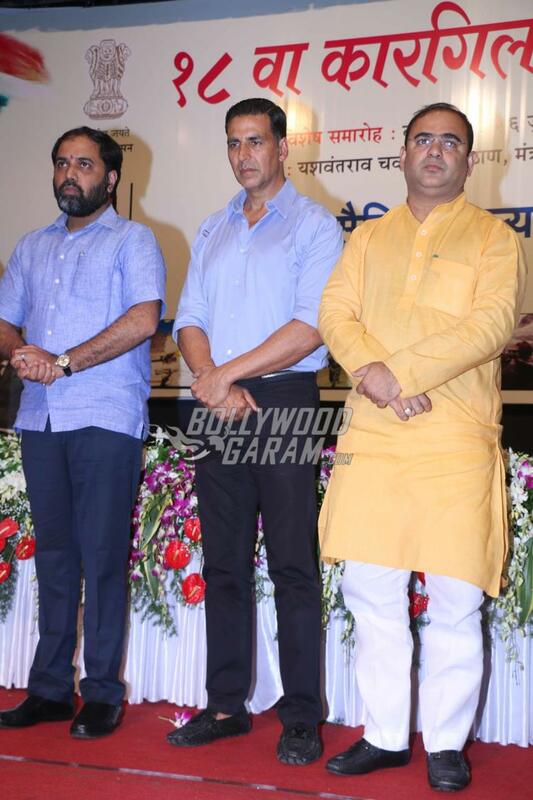 The event was attended by various other politicians in honour of the jawans. 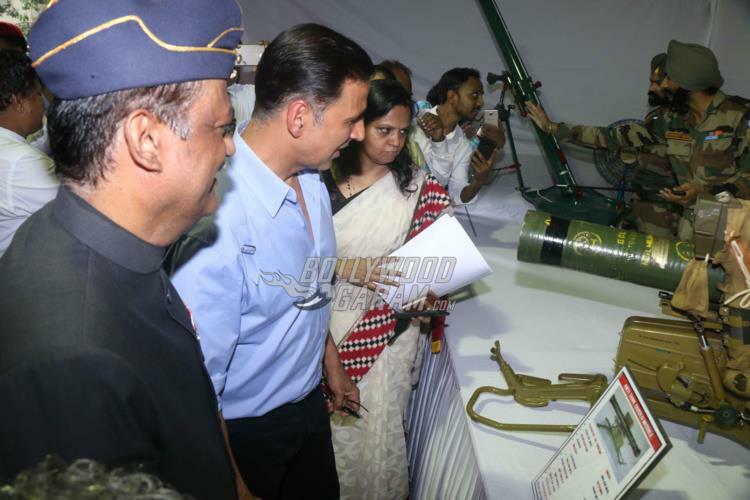 The Kargil Vijay Diwas event also saw the presence of a few soldiers in uniforms. 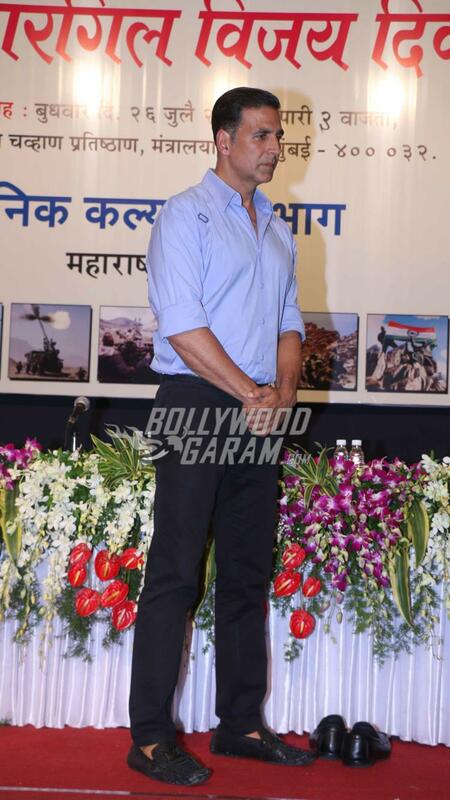 Akshay was snapped paying respect to the Amar Jawan structure at the event. 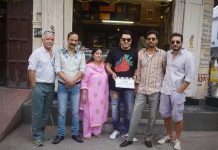 The Rustom actor was snapped in a formal blue shirt and navy blue trousers.